Fall has officially arrived at Hinton’s Orchard and so have apples and pumpkins! Apples in the market this week include Gala, Golden Delicious, Red Delicious, Jonathon, Cortland, and the long awaited Jonagold. More varieties will be ripening soon. Fall also means that you will find fresh apple cider, local honey & sorghum, our fresh baked bread, and all-natural peanut butter. You will also find local sweet potatoes & potatoes as well as our own bell peppers, eggplant and watermelons. The pumpkin crop has slowly started to ripen. Our u-pick patches are open each day during regular store hours. 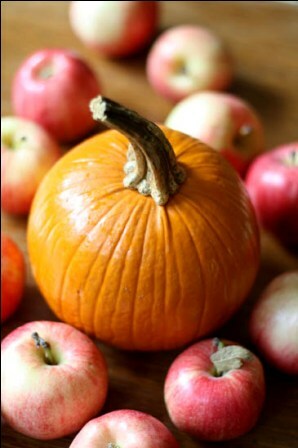 We will be picking pumpkins throughout the week and adding to those available at the market. As always, Hinton’s Orchard has a great variety of pumpkins & fall squash with over 60 varieties. We also have a nice selection of colorful mums, straw bales and corn shocks ready to decorate your home for the season. The market and play area are open Monday – Saturday 9 am – 6 pm and Sunday 1 – 6 pm. Hayrides are available on Saturday and Sunday. Plan your trip today!